The day after my birthday was always just the day after my birthday, February 23. The big day is over and I’ve been handed the options to fight or flight in my new age, February 22nd onward. (As I get older, I need both modes to survive). This year’s annual gift was a milestone. 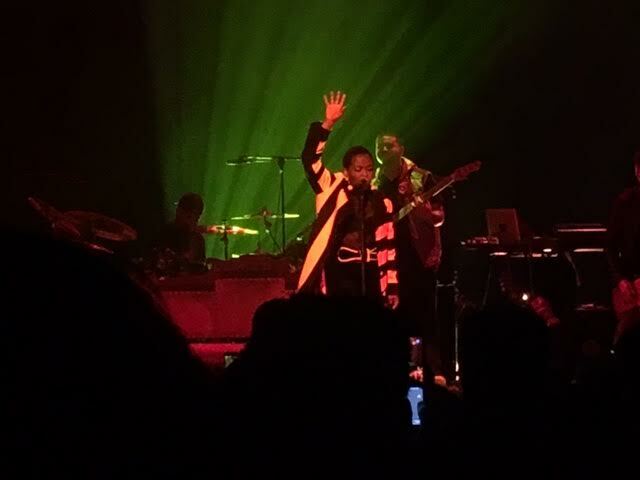 It was also bolstered by the nostalgic poignancy of “Where did all those yesterdays go?” and finally seeing Lauryn Hill in concert. A true musical treat that I originally paid for with the date of October 1st at The Wang Theatre. Almost three weeks prior to, it was abruptly rescheduled for February 23. The announcement went hand in hand with the rumors and sometimes confirmed reports of Hill showing up three hours late to concerts and similarly sudden rearrangements. I was slightly worried that this would happen when I bought my ticket. But hope was alleviated because she had performed two sold-out shows in a row at the intimate Paradise Rock Club, and with no alleged issues from concert-goers, in the springtime in Boston. And in a year that so many legends had departed by September, and would up until the last week of December, I knew that I needed to see the artists I respected and admired in the flesh now. At the time, I put the ticket in my wallet until 2017 showtime. The ticket time read 8:00 PM. After a spirited opening act by Little Simz, and a tribute to hip-hop by a DJ, a bountiful band took their place on February 23. Minutes later, Hill snappily jaywalked to the middle of the stage, wearing a coat intermixed with black and white, black slacks, a brassier covered by a glimmery see-through top, and a black velvet belt trimmed with gold. It was surreal to see Hill. In her 42 years, in which she’s been famous from the age of 21 when her sophomore album with The Fugees The Score was released, the New Jersey native has amassed stories congruent to past and living legends before her. Subsequent to her 1998 solo album, the monumental The Miseducation of Lauryn Hill, the last by a Black woman to win Album of the Year, Hill became seemingly imprisoned by her own celebrity and rise as a musical marvel. She was further hyperbolized by critics and fans for she was a successful and revered 24-year-old Black American woman. In a 2006 Essence cover story, she was quoted in saying, “I’ve been in a fight to love myself.” Her relationship with Rohan Marley dissolved (together they have five biological kids), and news briefs of “erratic” behavior at various shows trailed her one-time glory years as the Woman That Could in the Miseducation era. In 2013, she served a three-month jail sentence for tax evasion after pleading guilty in 2012. None of that mattered at the Wang Theatre. 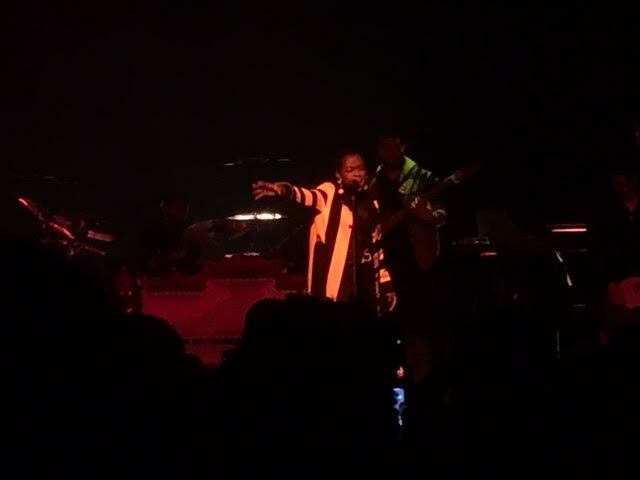 Having been billed as “MS Lauryn Hill” for the last few years now, the attendees, her fans, extended nothing but adulation and screams for an artist whose magnum opus is her only solo offering and has stood the test of nineteen years so far. 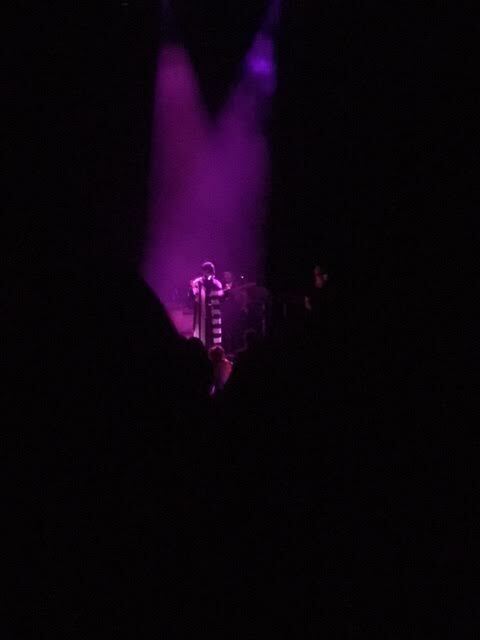 It was beautiful to see her in her natural element and with a band that fully cognized the rebirth of her classics in sped-up or slowed down, jazz funked versions. The recalcitrant superstar was no longer a shadow of her awarded past, but a fully colored picture of her undeniable talent. Her mood was evidently light-hearted and her voice was reassuring that things will be okay after all. Her show began with “Everything is Everything” that submerged into “Forgive Them Father” and “Lost Ones.” “Ex-Factor” was a highlight with an ending that spiraled into its memorable gospel-pop finale that filled the venue. Hill then gave the beauty of a Fugees medley that was followed by an unexpected homage to Sade, bringing their two brilliant worlds of R&B, and a little hip-hop, to empyrean heights. The concert was shorter than imagined, at just an hour and a half. “Doo Wop (That Thing)” was the curtain call. Afterward, Hill joyfully sauntered to both ends of the stage to say hi and goodbye to fans, a bodyguard behind her every move. “Believe in Lauryn” was the unspoken mantra when fans exited their seats. They were uplifted and hopeful that the Hill they just saw would sustain for a follow-up to one of the greatest albums of the 1990s. For me, the lessons had come full circle. I have to forgive and love myself before I can even think of extending or assuming such an olive branch from anyone else. I completely understood.